As noted from the chart below, the local work force numbers have been fairly consistent with a slight increase in the workforce over the last year. 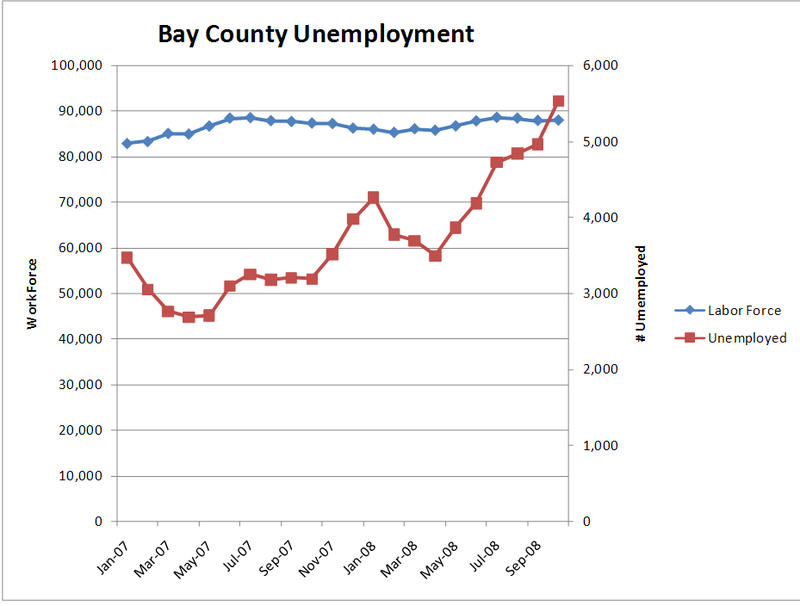 However, the unemployment numbers continue to increase and have increased consistently since May of 2008. This is a result of national economic conditions of which our area is experiencing as major employers reduce their workforce. A continual increase in this unemployment trend coupled with the excessive inventory levels in the residential market will further soften the housing market.